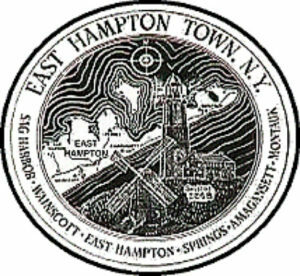 The town includes the village of East Hampton, part of the village of Sag Harbor, (the other part belongs to Southampton Town) and the unincorporated hamlets of Wainscott, Springs, Amagansett and Montauk which together make the Town of East Hampton. On a modern note, what sets East Hampton apart from the other Hamptons is a government intent on preserving its quaint and charming small town character – here you won’t see sprawling malls, neon lights, fast food stores and other modern day intrusions (not even self-serve gas stations) littering the highways and roads leading into East Hampton. Coming from the West, Wainscott is the first hamlet encountered when entering the town limits. It is basically still farmland though new vacation homes are beginning to proliferate among the classic structures dating back to the 1700’s. North of Wainscott is Sag Harbor, a quaint village that was once an important whaling town and until the middle of the last century, rivaled New York as the busiest port of entry in the United States. Its spectacular views and idyllic setting make it a favorite of writers and artists who seek inspiration away from the social frenzy of the other villages. During the latter part of the last century, Sag Harbor being part in Southampton and part in East Hampton, hovering between a “dry” village on one side and a “wet” one on the other dubbed the dividing line, Division Street. At the end of the street, on the wharf, was a bar: predictably, half the bar was dry, and half was wet. Back in the day, we’re guessing thirsty customers bellied up to one side of the bar. The Village of East Hampton was voted “America’s Most Beautiful Village” by National Geographic. Thanks to a strong preservationist policy, the village has maintained its quaint, small town character. 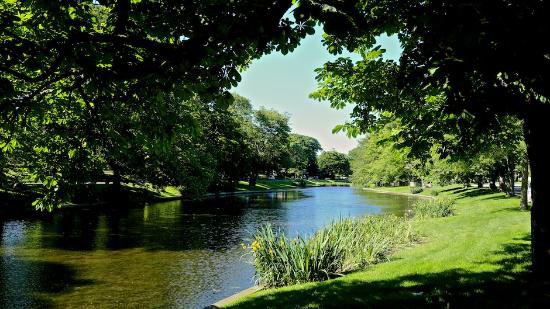 There are majestic old elms, green expanses, windmills, of the English, not Dutch variety, and the famous Town Pond with its with 300 year old cemetery – a virtual voyage back in time. Right in the middle of the Village, before the historic Hook Windmill that dominates the green triangle is a fork in the road leading on the left (North Main Street) to the northern part of the town and on the right (Montauk Highway) leading further east. Going north leads one to Springs, a hamlet surrounded by Accabonac Harbor, Gardiner’s Bay, and Three Mile Harbor. Springs is also famous as the home of the painters, Jackson Pollock and Willem de Kooning, and the Krasner-Pollock Museum. Some of the most spectacular and serene beaches can be found here in the calm of the bay waters. Going further east, is Amagansett. The center of the Hamlet is so tiny that it’s easy to pass through without realizing. Drive slowly to savor its beauty and avoid a speeding ticket. It’s interesting to note that is most of the houses on Amagansett Main Street date back to the late 1600’s. Finally, east of Amagansett lie 11 miles of road leading to Montauk. Named Napeague Strip, this is part of the road between Amagansett and Montauk and is the Eastern-most point on Long Island. Napeague runs parallel to the ocean and Gardiner’s Bay. It is a spectacular drive with weather-beaten beach houses alongside undulating dunes, beach grasses, and scrub pines. No discussion of East Hampton can be complete without a mention of Gardiner’s Island, nestled within Gardiner’s Bay. This is almost a feudal fiefdom which has been in the hands of the Gardiner family for over 300 years. It was bought by Lion Gardiner from Wyandanch, the Sachem of the Montauket Indian tribe. Actually, it was a gift to Lion Gardiner for the help he gave to the Sachem’s daughter, but Gardiner bought it to shore up his title. He even went so far as to have the colonial governor confirm his title, just to make sure. Make sure he did, because his descendants, including the current Lord of the Manor, still own it: NO TRESSPASSING! Gardiner, by the way, was also a confidante of Captain Kidd who is said to have buried his pirate treasure on the island. It has never been found. Montauk is bordered by Block Island Sound on the north and the Atlantic Ocean on the south. Jutting out from a promontory is the famous Montauk Lighthouse, built in 1796 as a beacon to guide ships and guard them against running ashore. This is the end of Long Island – after this, it’s Portugal!